The Silence Between the Sighs looks like a great self-help/motivational guide. You have a few other books and albums in the genre, any plans for more? Yes there are a couple more books in the pipeline for early next year, as well as two more meditation albums. I’m always working on new projects and collaborating with like minded artists, therapists, writers, motivational speakers and musicians. What do you think motivates people? When we believe in ourselves anything is possible. We have to try to forgive our past mistakes and understand that everyone has a story to tell and that we are all struggling in our own private way. The key to our life is the love for our own being and essence and knowing that we all have a role to play on this earth. We are all needed here at this time to make a difference. 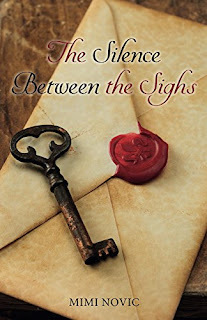 What inspired you when writing The Silence Between the Sighs? Love inspires me. People inspire me. Life inspires me. All around us there is so much that is inspiring and the power of the human spirit is profoundly uplifting. Everything that I write comes from observing and feeling the depths of the heart and accepting and believing in the beauty of souls. I have been writing since I was a child from stories to poetry. It has been a great passion of mine since early on and something I knew would one day become a major part in my life. I find writing relaxing and exhilarating at the same and a real bridge to getting to know people. How did you come up with the ideas and inspirations in 'The Silence Between the Sighs? It was a work in progress for many years and I was constantly being asked to put all my inspirational writing that I shared with clients into a book. I had also been encouraged by self help experts, great spiritual masters, healers, who I had the pleasure to meet while travelling around the world, to reach out to as many people as possible as they all believed it would bring some benefit to all searching souls. They can visit my website www.miminovic.co.uk and my pages on Facebook, Instagram, Twitter, You Tube. My books, music, cards, all products can be found on Amazon and all good bookshops as well as iTunes and other music download sites.